Contains comic adventures of Kirk, Spock, Scotty - and Picard, Riker and Data - as the crews of both USS Enterprises come together in a series of adventures. 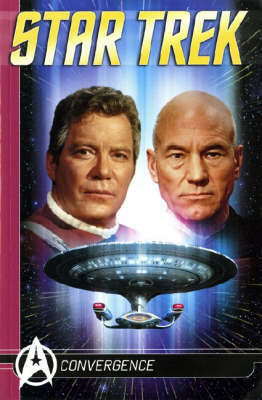 This title features interviews with James Doohan (Scotty) and Patrick Stewart (Captain Picard). These are the continuing comics adventures of Kirk, Spock, Scotty - and Picard, Riker and Data - as the crews of both U.S.S. Enterprises come together in a series of amazing adventures! The captains meet for the first time in Star Trek: Generations ; both crews are drawn into a time-hopping, galaxy-spanning adventure in Split Infinities - also including Gowron, Gary Seven, and Romulan General Tellius - and, in a final, touching tale, Captain Montgomery Scott gets used to life 400 years into his own future! Featuring bonus interviews with James Doohan (Scotty) and Patrick Stewart (Captain Picard), these adventures are essential for every Star Trek and Star Trek: TNG fan! Michael Jan Friedman is the writer of a host of science fiction novels, including many Star Trek novels, across all the major series. He has also written X-Men and Tomb Raider books. Pablo Marcos is a Peruvian comics creator who has worked on some of the industry's biggest titles, including Batman, Green Arrow, Spider-Man and Fantastic Four.